Self-Managed Super Funds or SMSF loans can be used to purchase property including residential and commercial, or even a holiday home as a property leveraged investment. 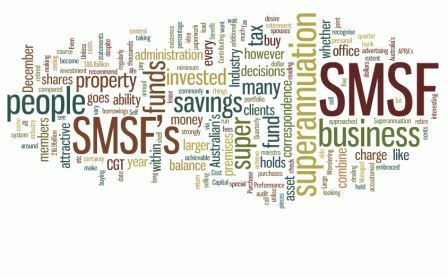 However, a key characteristic of SMSF loans is that they can only be used to purchase property from a member or related entity for business purposes any residential property must be purchased from an unrelated party or arm's length vendor. You may be able to borrow money to purchase property using a SMSF. Any property purchased using a SMSF loan works in the same way as any other investment property loan. Trustees should ensure they seek independent advice when setting up the SMSF and ensure they fully understand their obligations to comply with the law, which can be confusing when it comes to investing in property. The responsibility for ensuring their SMSF complies with the law rests with the trustee. The Australian Tax Office (ATO) advises that trustees must ensure that property is the right investment for their SMSF and that the arrangement is legal. The ATO has seen instances where holding trusts have not been established at the time the contracts to acquire are signed. Other instances have been that the title of the property is held in the individual's name rather than the trustee of the holding trust. Another common mistake is gearing in a related unit trust, which is not allowed under the law. We have seen a high increase in the number of finance applications for Self-Managed Super Funds (SMSF), so to expediate the application process for these types of applications, we thought we’d give you a checklist to ensure some of the preliminary work is complete before we get to settlement. • Ensure you have advised your payroll department to start crediting your SGC into your Self-Managed Super Fund Bank Account. If you want more information about these products, please call our office on (03) 9377 7000 and speak to Graham Lee.